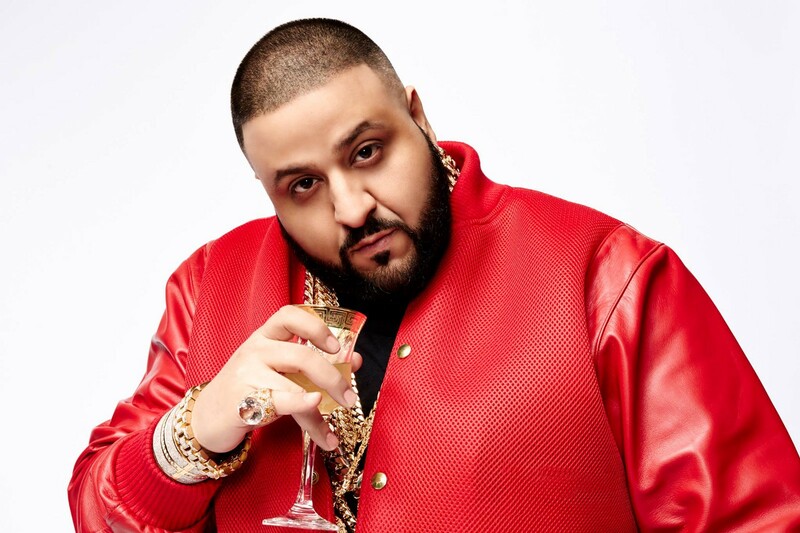 30 days ago DJ Khaled, an American record producer and radio personality, got lost at sea on his Jet ski. He documented the experience using social media darling, Snapchat. Since then DJ Khaled and his lexicon of catchphrases have permeated through pop culture. If you use other social media sites like Facebook and Twitter you’ve probably encountered these catchphrases, not knowing where it came from or what they even mean. Are you curious why the key emoji is suddenly popping up everywhere? That’s Khaled. Why are your nephew’s friends saying “Bless Up” all the time? Khaled again. What about when the youngest person in your office is referring to a mysterious “They” as trying to bring him or her down? Another one. This is why I built a little cheat sheet to help you understand what these new phrases mean and how you can, at minimum, not have a confused look on your face when they come up, and at maximum incorporate them into your daily interactions (although you probably shouldn’t). 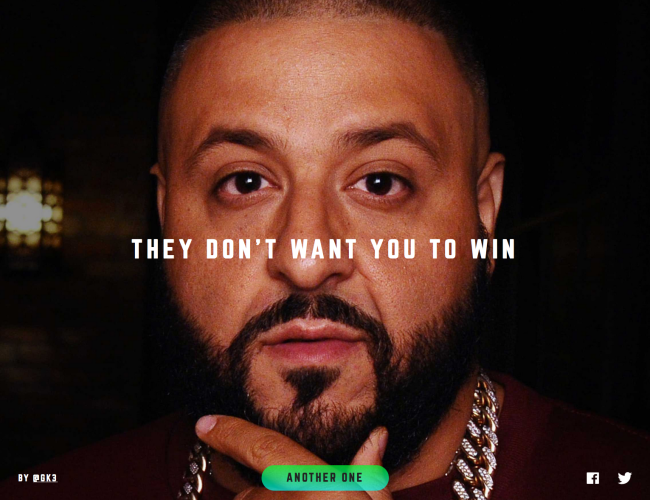 Major Key — This is probably the most popular DJ Khaled catch phrase. 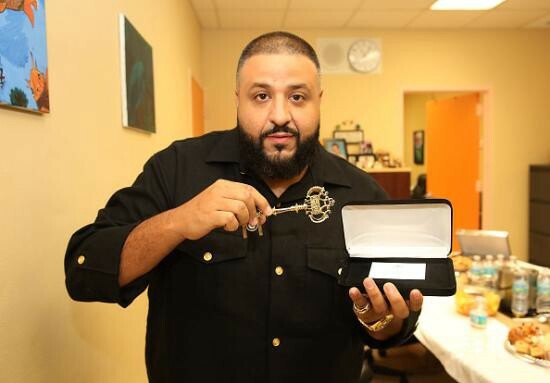 Sometimes Khaled will say “Major Key” “Major Key Alert” “🔑” — all of these are Khaled sharing the keys to success. They usually consist of working hard and never giving up on your dreams. Bless Up — This can be a general greeting like “what’s up?” or general wishes of well being be upon you. 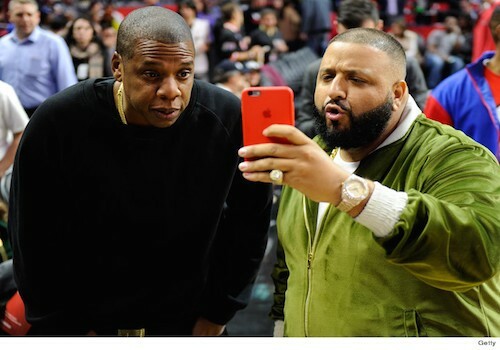 Khaled frequently wishes well upon his fans and those that follow him on social media. “They” — Khaled used the word “They” to represent everyone that has doubted him or thought he wasn’t good enough. “They” is an all encompassing word to describe all of life’s adversaries conspiring against you. Angels — Used as another word for flowers as well other beautiful things in nature. Elliptical Talk — When Khaled works out he listens to music and gives motivational talks to his audience. He does all of this on the elliptical and calls it Elliptical Talk. 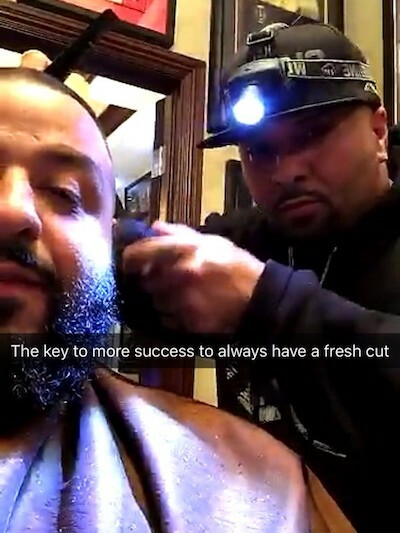 Fresh Cut — This is when Khaled gets a haircut, hair clean up or beard trim. It is important to get a fresh cut as often as possible. Another One — One of the most common phrases Khaled uses. Another One is about having another success. Whether it is a new song, new pair of shoes, or something else. Having another one is all about momentum. Win Some More — This is what Khaled wants to do when people doubt him. He wants to win some more. Khaled is all about self-confidence and believing in himself. He wants you to believe in yourself so you will win some more too. Fan Luv — DJ Khaled loves his fans. Whenever he gets a chance he loves to highlight them in his Snapchat stories (this is when you string together multiple “snaps”). Sometimes he will even tell his fans where he is going to be for meetings so they can come and he can take in their love and give them love back. We The Best — This is DJ Khaled’s catchphrase, the name of his merchandise website and the name of his second album. When Khaled says we the best he is talking about himself, his crew and all of his fans. Part of being the best is about having the mindset of being the best. I’m not 100% sure what that means but I think it has to do with the food chain and being on top of it. Cloth Alert — Sometimes known as “Special Cloth Alert.” This is when Khaled is sharing something really good. Sometimes it is physical product like a new shirt or new pair of Jordan’s. Other times it just something really special. Mogul Talk — This is usually used when DJ Khaled is talking to someone that is a well-known player in the world of business ranging from Troy Carter, Jay-Z, Anthony Saleh and more. Before talking to them and sharing it, Khaled lets people know that he is talking to someone big in the business world. I’m Up To Something — This is yet another Khaled-ism. There is the literal definition of “I’m Up To Something” which is Khaled working on something. But usually when Khaled says this phrase he is up to something special. Something that will be big. It is a way for him to tease out something he is working on without getting too specific. At times, Khaled will show a preview of that “something” when saying this. It could be a magazine shoot, a music collaboration or something else. That’s all I’ve got. I can add more if I’m missing anything. Now you know how to speak Khaled.